Short haircuts in bright funky color are all the rage at the moment, one of the biggest hair color trends is to dye your hair an unnatural shade! 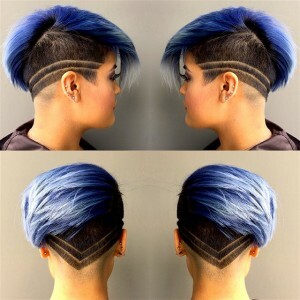 Blue hair with an undercut barber style! 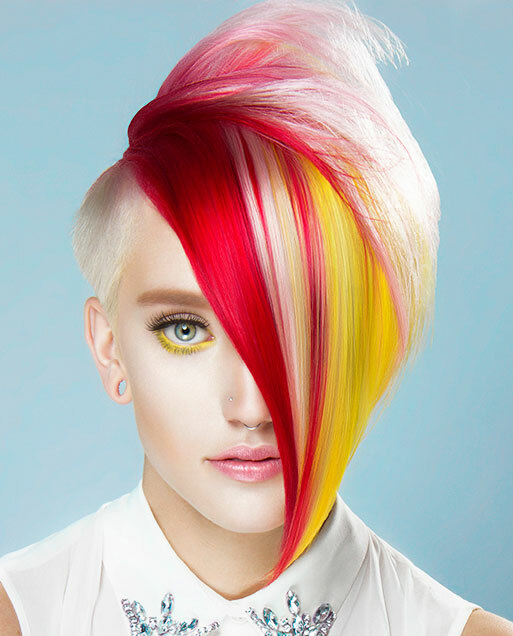 Short and funky platinum hair with streaks in red and yellow. Blonde pixie hair with pastel pink and blue hues. 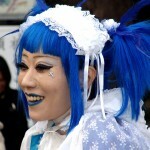 Bring out the ice queen in you and go for blue hair! You can go for bright royal blue, greeny blue, turquoise or pale blue. The possibilities are endless. 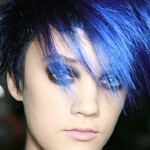 Blue hair is a bit tougher to achieve a vibrant result than pink hair but it can still be done. For most vibrant results you need to bleach your hair. 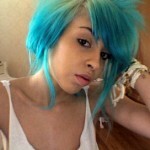 The lighter the hair the brighter and lighter the blue. If you put the blue dye on natural hair then results will very but it won’t be as bright and tends to turn green quite quickly. 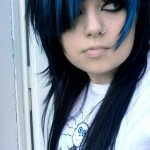 If you have naturally blonde hair the blue can look great but it will fade very fast. 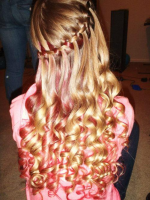 Bleached hair is much more porous so it picks up color better than natural virgin hair. Here is a Hair bleaching guide to help you get that part right. Once you have the desired hair base color you want you just apply your chosen vibrant pack of rad blue hair color and follow the instructions to get your gorgeous pixie, mermaid, etheral ice queen blue hair! 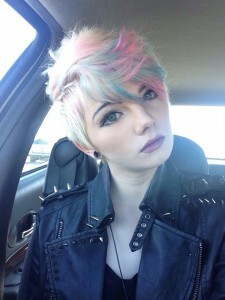 You can use Special Effects or Manic Hair Dye. If you have dyed your hair blue please write in the comments section your experience. 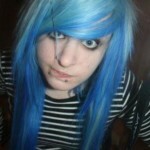 Want To See More Blue Hair Pictures? If you are looking for the ultimate hair colour resource, then you’ll love this: go here to see hundreds more blue hair color pictures! 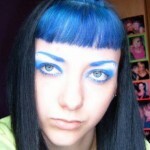 This site is great because people send in their hair dye pictures and tell you how they did it. 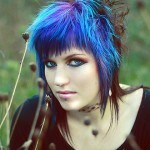 It’s a great site for learning how to get great coloured hair!